Our client asked us to redesign their Reception area to give a more modern feel. 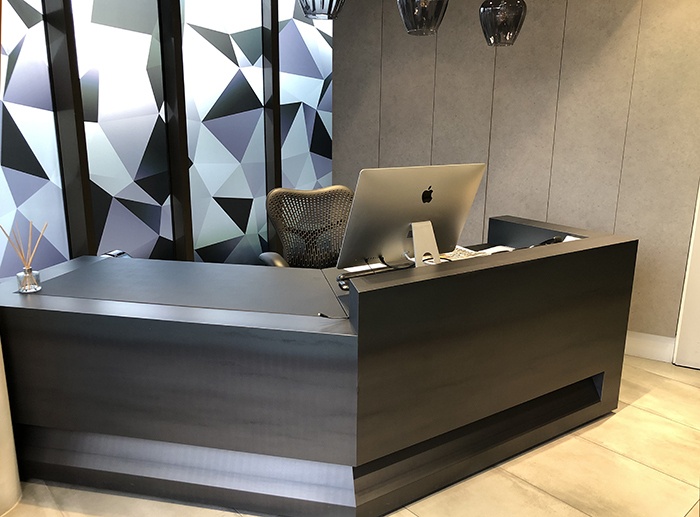 We replaced the original Storagewall doors with a Concrete Effect mfc and installed a new Isomi Reception Desk in burnt steel finish with leather inlay. The windows have had a modern manifestation applied and the original ceiling lights have been replaced to enhance the environment.